Discussion in 'Portable Source Gear' started by Andykong, May 5, 2018. The N8 is the first price-is-no-object portable Digital Audio Player (DAP) from Cayin. 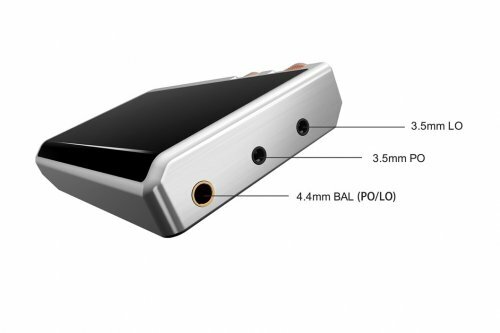 This is our attempt to deliver best possible high fidelity audio performance to portable users. The N8 has consolidated 25 years of extensive experience in high-end audio industry and offers impeccable digital and analogue audio capabilities. We spend three years of solid R&D to develop the innovative solutions on material and circuitry, and we have solved numerous structural and practical problems that will benefit our subsequent Portable Audio products. 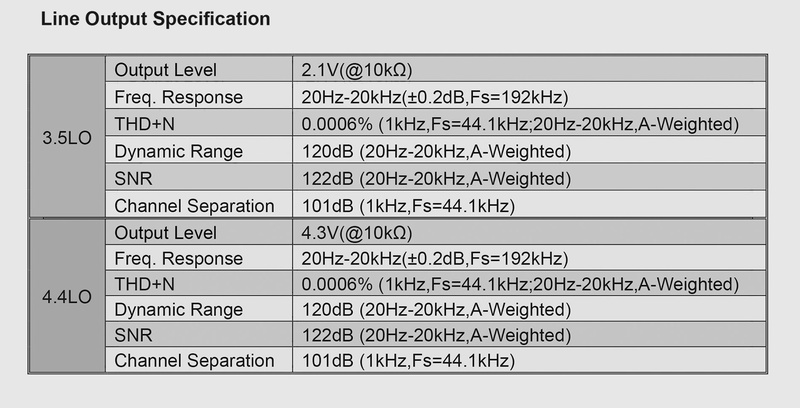 N8 will offer 3 choice of amplification (4.4mm Bal, 3.5mm SE-SS, 3.5mm SE-Tube). 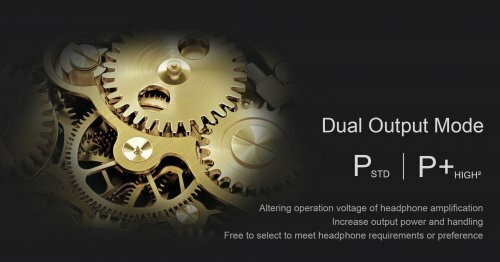 On top of the full-blow balanced circuit behind the 4.4mm, users can choose between vacuum tube or solid state from the 3.5mm headphone output. Providing users with the choice of Tube and Solid State output is a common feature in Cayin high-end CD players, the CDT-15a (2009) is our first digital product that introduced this features and N8 DAP is the first DAP that embrace this innovative audio technology. We have tailor designed a vacuum tube amplification circuit around the KORG Nutube 6P1, a dual-channel Triode vacuum tube from Japan, and added a piece of premium grade digitally-controlled analog volume management chip, PGA2311UA, to suppress background noise of Nutube and facilitate gain compensation with Solid State circuit. 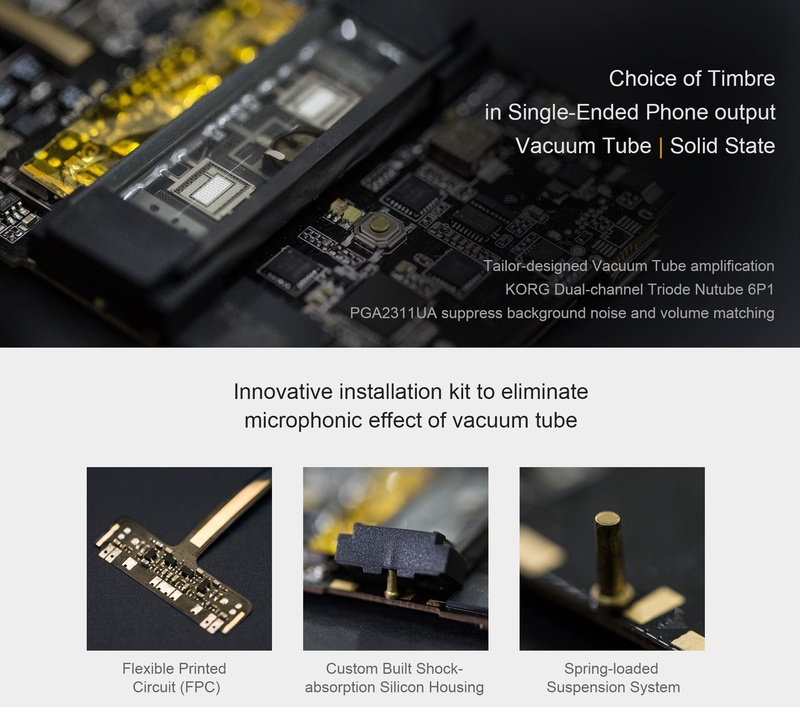 We have designed a Spring-loaded Suspension System to eliminate the microphonic effect of the KORG Nutube 6P1 so that it can be used for portable application, and we have solved another dozen of technical problems before we can deliver a reference level implementation. 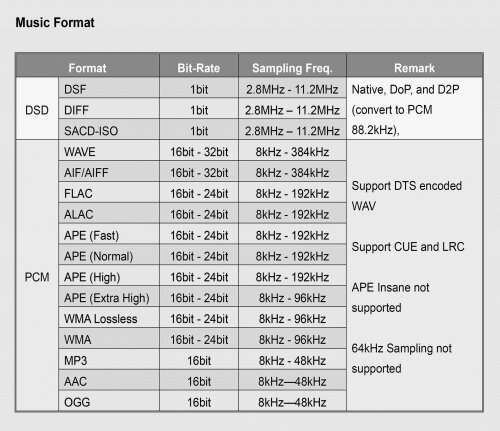 Cayin developed a proprietary solution to embedded the S/PDIF signal into the SBU (Sideband use) pins of the Type-C connector. These pins are NOT USED for in USB transmission, so they are not occupied in normal application and left out in normal USB-C cable. 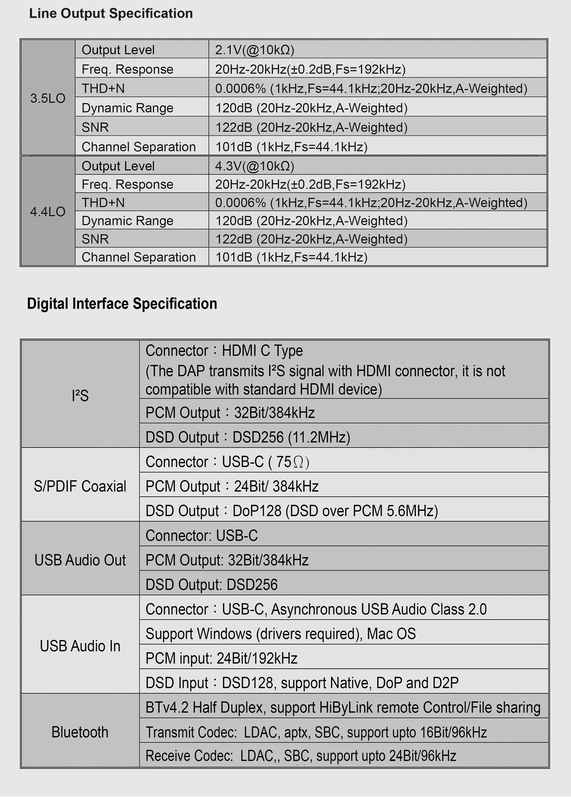 This implementation is plug and play, the S/PDIF bitstream is directly embedded into connector, it is NOT a conversion of USB Audio to S/PDIF. To get the S/PDIF out of N5ii, you need a custom make Type-C cable by wiring the SBU pins to a coaxial cable. N8 also support both USB Audio Out (USB Transport) and USB Audio In (USB-DAC) from the Type-C USB connector, you need an OTG Type-C cable to access these function. The USB Audio output is, from functional point of view, similar to the coaxial output but it offers noticeably better specification so if you need DSD128 or PCM upto 384kHz, you'll have to go for the USB Audio option instead of Coaxial. N8 is our first DAP equipped with I2S output via a HDMI Type-C connector (aka. Mini-HDMI). This is definitely the most preferred digital interface both in terms of digital capability and audio performance. 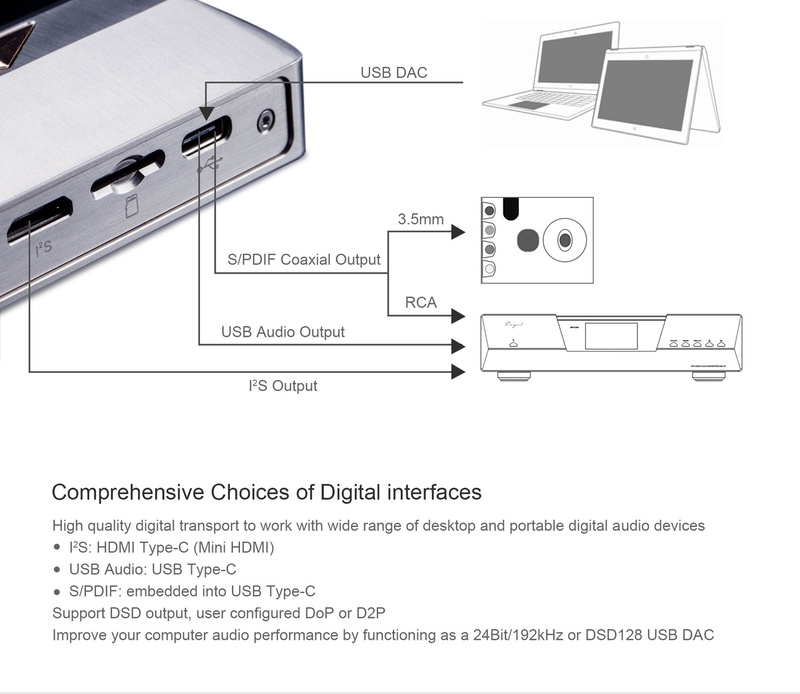 If you are using a Cayin DAC with compatible I2S input, such as the CS-100DAC, this will be the preferred digital interface. 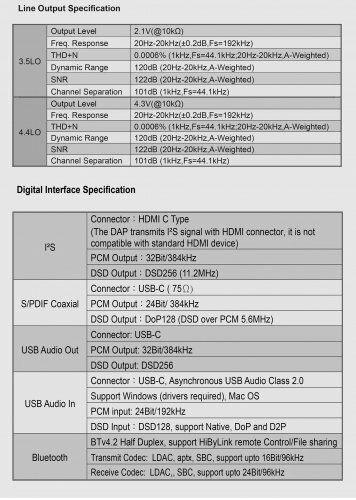 For the record, our I2S implementation adopts the pin-definition of PS Audio I2S system, we have tested and confirmed the compatibility with PS Audio DAC but we cannot guarantee full compatibility with all DAC that claimed to be PS Audio I2S equivalent. N8 offers two desktop grade line out: 3.5mm single-ended and 4.4mm balanced, and they are rated at 2.1V and 4.3V respectively. 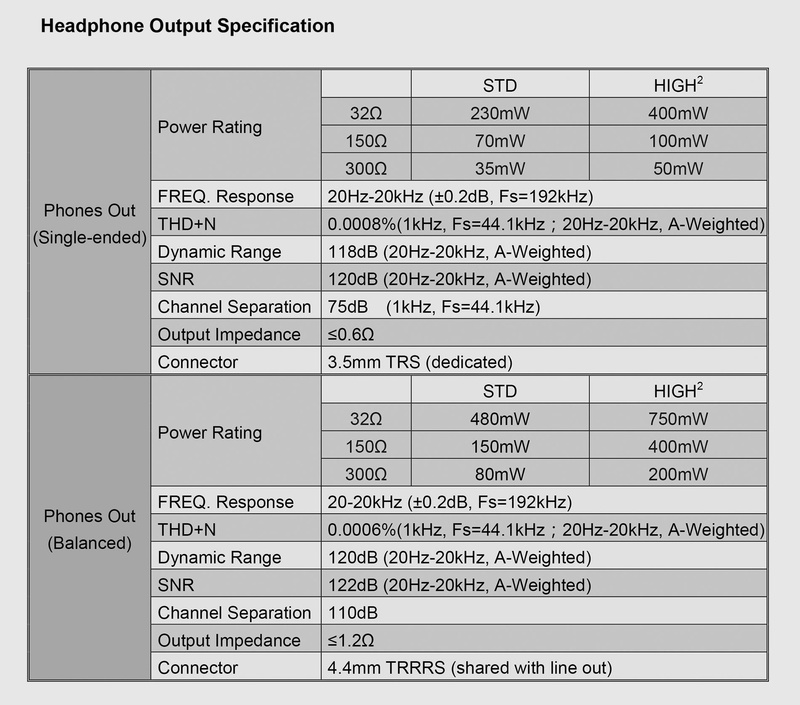 Besides, they are fit for audio equipment with input impedance higher than 10 kΩ. We planned to include balanced line out since the very early day of N8 development. 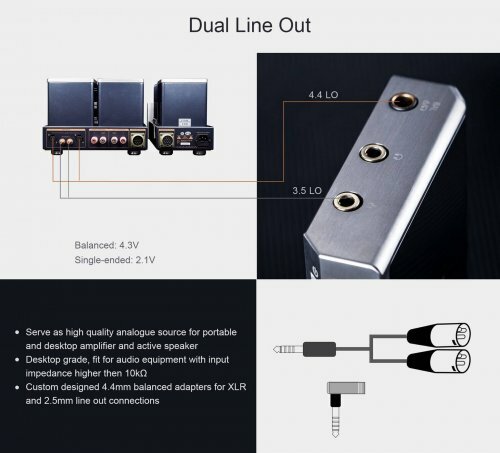 When 4.4mm balanced headphone connector jumped into spot light and we decided to adopt it into N8, it become a perfect platform for full balanced line out because the TRRRS design enable a grounded balanced connection. 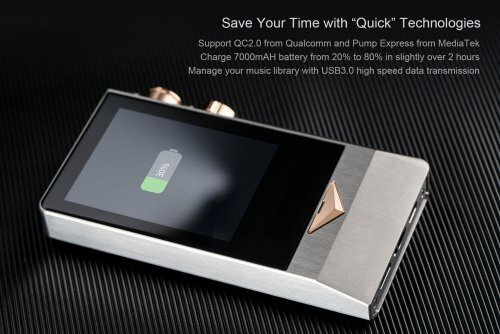 N8 is equipped with a USB Type C connector, Cayin has integrated QC2.0 quick charging, high speed USB3.0 data transfer, USB DAC digital input, S/PDIF coaxial digital output and USB Audio output into one connection. 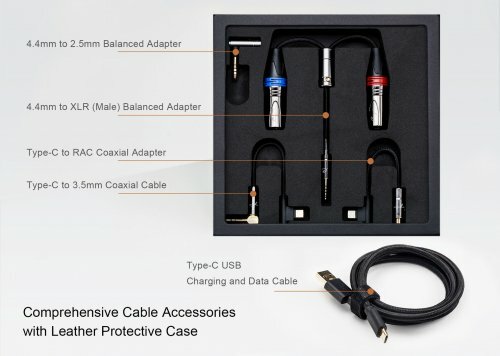 The Type C connector is secure, robust, and bi-directional, it is easy to use and is booming the standard interface of modern mobile devices. 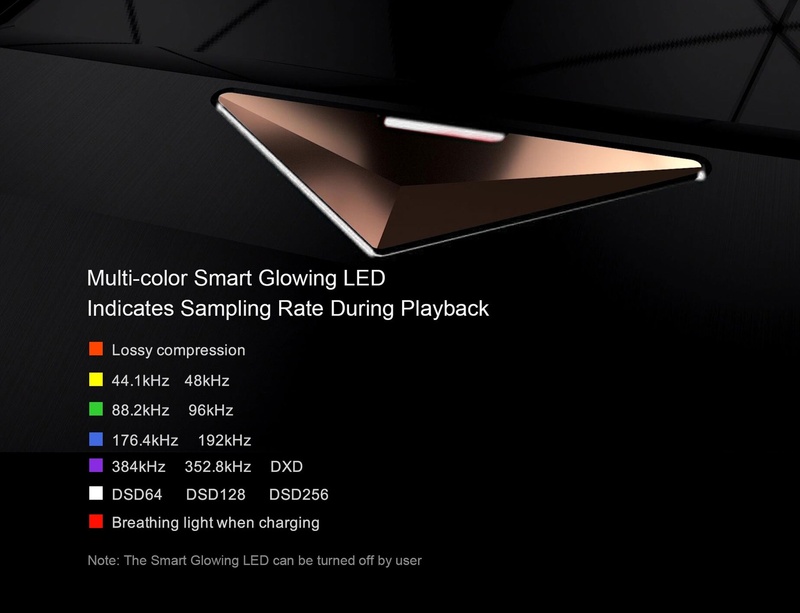 Quick charge ready with 7000mAH Lithium battery, support QC2.0 from Qualcomm and Pump Express from MediaTek. To facilitate the audio performance that we have in minded, Cayin has developed a one-of-a-kind 5-stages amplification circuit into the N8 DAP. 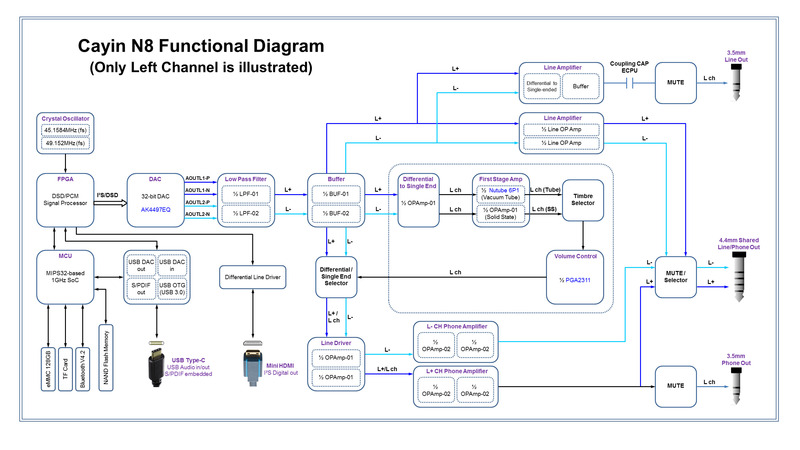 This is by far the most innovative and complicated amplification circuit ever implemented in a portable music player. Together with two desktop grade lineout (2.1V Single-end and 4.3V Balanced), USB-DAC, and three digital output options (I2S, USB Audio, S/PDIF coaxial), the N8 can serve as the centerpiece of your music system, both portable and desktop based. 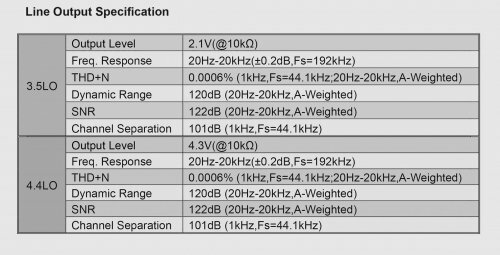 Cayin believes clean and stable power supply is the root of good audio performance. 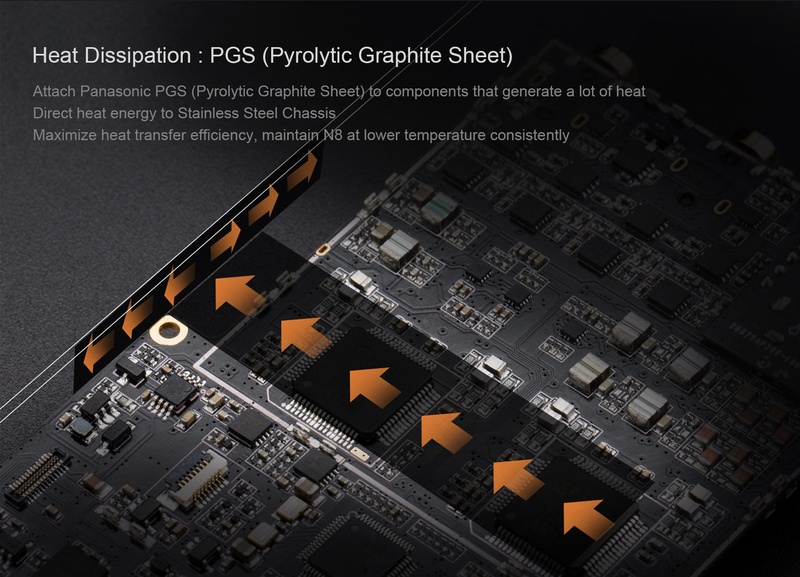 That’s why we always pay serious attention to the power supply module of our product. Given the complexity of the digital and analogue circuit in N8, it is important to develop a power management system that will deliver power to critical components accurately with minimum interference. 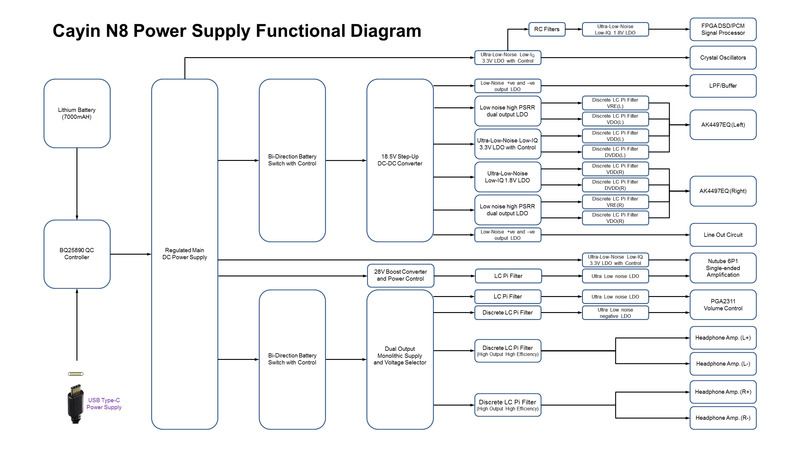 This is the power supply system of N8, I am sure you'll be amazed by the complexity and cost required to implement this into a DAP. Pictograms, Quadfather, Colors and 9 others like this. have forgotten how many times I have been asked whether Cayin will release a successor to our N6. I have quite a few N6 users told me that while they have bought several DAP after N6, they are still looking forward to the N6ii because N6 is special to them. We are flattered by the support and recognition of our users because N6 is, after-all, our ex-flagship DAP launched back in December 2014. When the recent DAP product life cycle is shortened from 18 months to 12 months, a three and a half years old DAP is more or less a historical item already. A lot of DAP have been forgotten by the market way before they reach thus far, and that probably will include our N5 and N3 DAPs. So far, I have only told friends and customers that Cayin has a mark 2 of N6 in plan, but we don’t have a date for that, which is an honest statement. What I didn’t tell them is, Cayin will introduce a new flagship before we proceed to N6ii. 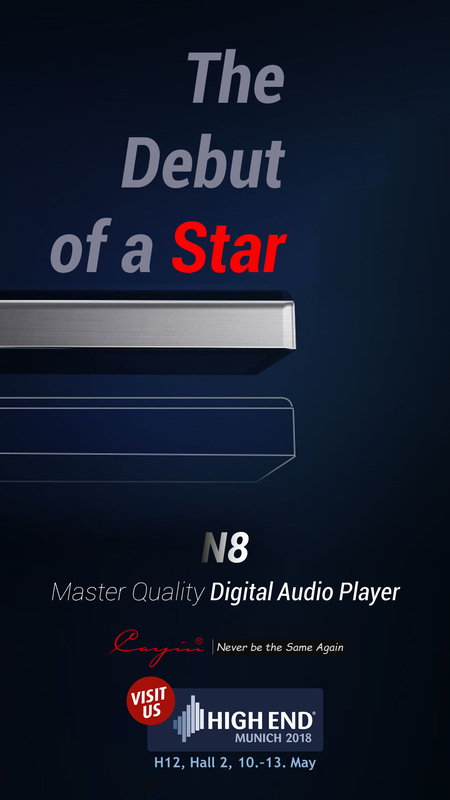 Now the wait (and the hide) is almost over, as this is about time to unveil our new flagship DAP: the N8. 2018 is indeed a very important milestone for Cayin. We’ll celebrate our 25th Anniversary on August 2018, and we want to show the world what Cayin is truly capable of at this important moment. HA-300 is our first statement product on 2018 and we have established a new benchmark on tube amplifier for ourselves. We’ll release another product to showcase our digital capability very soon, and the N8 is our third and probably most important flagship product in our 25 years history. The N6 is a very special DAP to me. 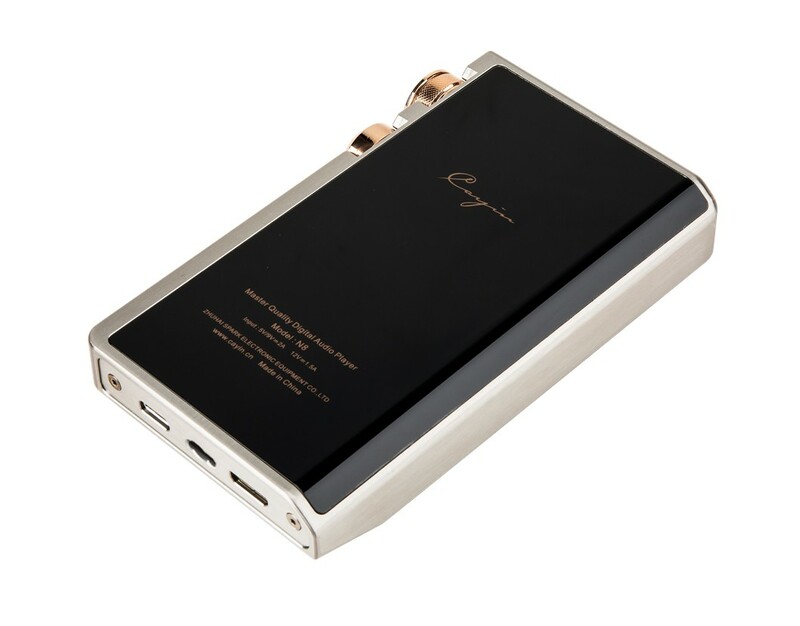 When Headfonia interviewed Cayin and ask me what is my favorite personal audio product, I named Cayin N6 immediately. 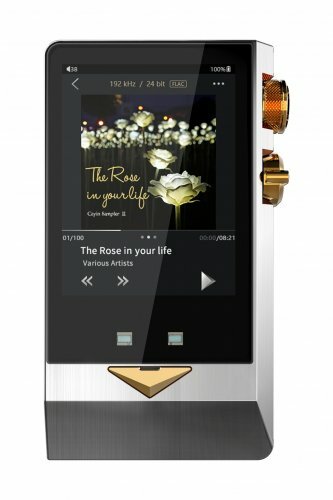 This is because I reviewed this DAP as a beta Tester, I was an audiophile taking a long medical recovery at that time, I know almost nothing about Cayin before I find out N6 in on the pipeline, and I joined Cayin after a 6 months non-stop interaction with their engineers and managers as an outsider. N6, the ex-flagship DAP from Cayin, changed my professional path. So when I discussed the N8 marketing plan with our CEO, I pleaded to become the thread starter of Cayin’s new flagship DAP. The N8 will debut at Munich High End 2018, Cayin will host a display booth at Booth H12, Hall 2 of MOC from 10-13 of May. We’ll have demonstrate an engineering sample of N8 in this important event, and we’ll also showcase the exotic HA-300, our Direct Heated Triode tube headphone amplifier. The pre-production version of the CS-100DAC, our new flagship desktop DAC will also be demonstrated at the same time. We shall also display our complete line of Personal Audio products, and selected star-products from our CD players and pre/power/integrated tube amplifiers. So if you plan to visit Munich High End Show this year, please make sure Booth H12 of Hall 2 is on your to-visit list. 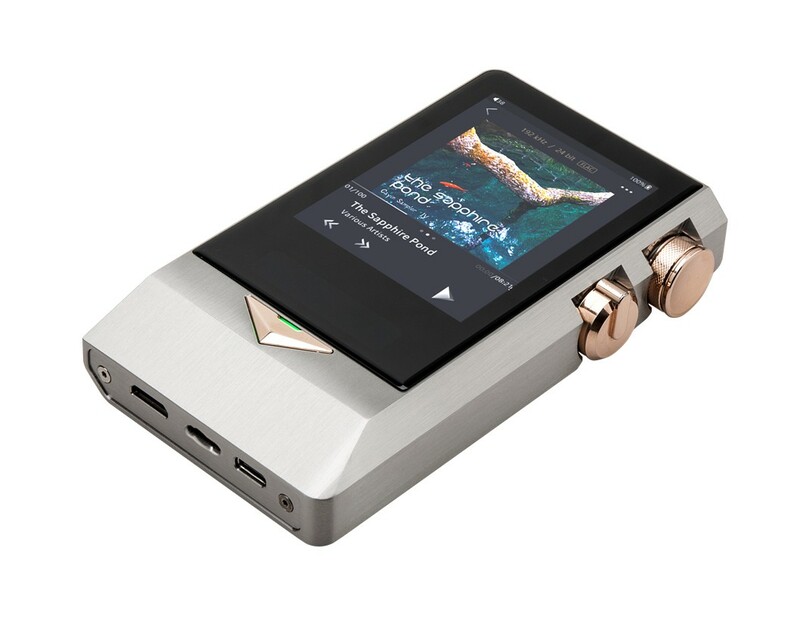 May 10, 2018, High End, Munich – Cayin N8, the new flagship portable Master Quality Digital Audio Player from the leading audio manufacturer, will makes its worldwide debut at High End 2018 (H12, Hall). On top of being a brilliant standalone player, Cayin N8 offers six input and output options so that you can integrate the DAP into your home audio system flexibly. 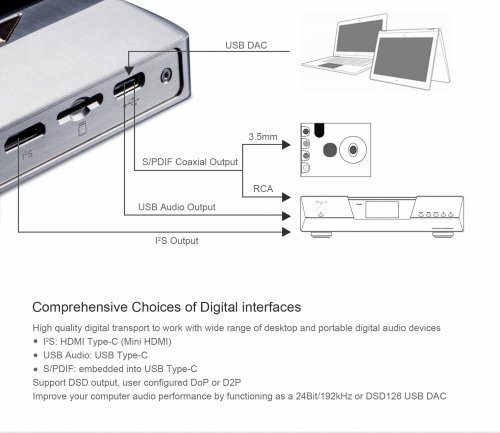 The I2S Digital output (via micro HDMI) is by far the most sophisticated digital interface from N8, it can connect to I2S input of our CS-100DAC and N8 will become a high performance digital transport. We have also embedded the S/PDIF Coaxial signal into the Type-C secondary bus pins. This is our proprietary design and N8 users will be provided the necessary adapters to connect the player to portable and desktop DAC. 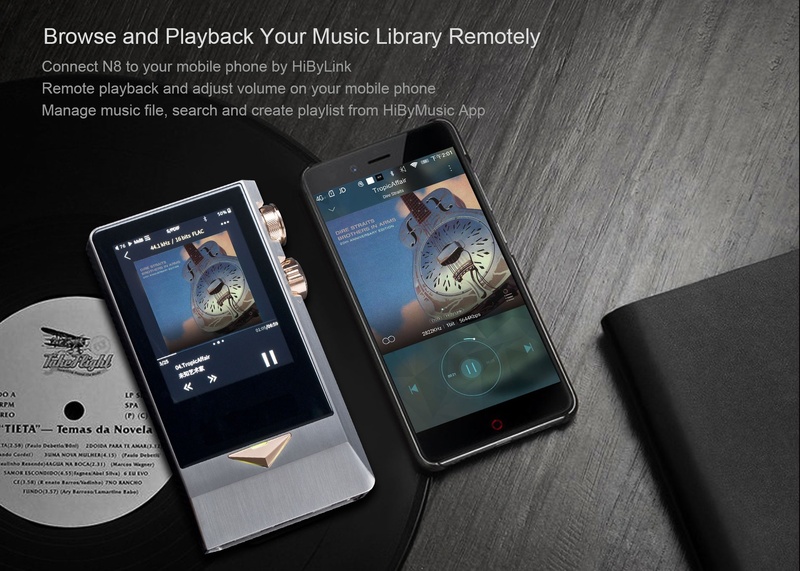 N8 also supports USB Audio, it can function as USB DAC (input) or USB Transport (output) through its Type-C USB interface. Last but not least, N8 comes with dual line out design. On top of the commonly used single-ended line out through the dedicated 3.5mm port, Cayin has added a ground connection to the "Pentaconn" connector so that N8 can facilitate full balanced line out through the shared 4.4mm TRRRS port. There is no reason to settle for less on the final appeal and finishing when N8 excels in almost every aspect. The main N8 chassis is CNC out of a single piece of stainless steel and the rea panel is a specially molded 3D toughened Gorilla glass with AF and DLC coating. This combination not only offers attractive visual impact, it is also a functional design that feels good when you grasp it. Cayin N8 is scheduled to launch at August 2018. The suggested retail price will be announced soon. Cayin will demonstrate a N8 Engineering Sample at Munich High End, Hall 2 (H12), MOC, Munich, Germany from 10th to 13th May 2018. 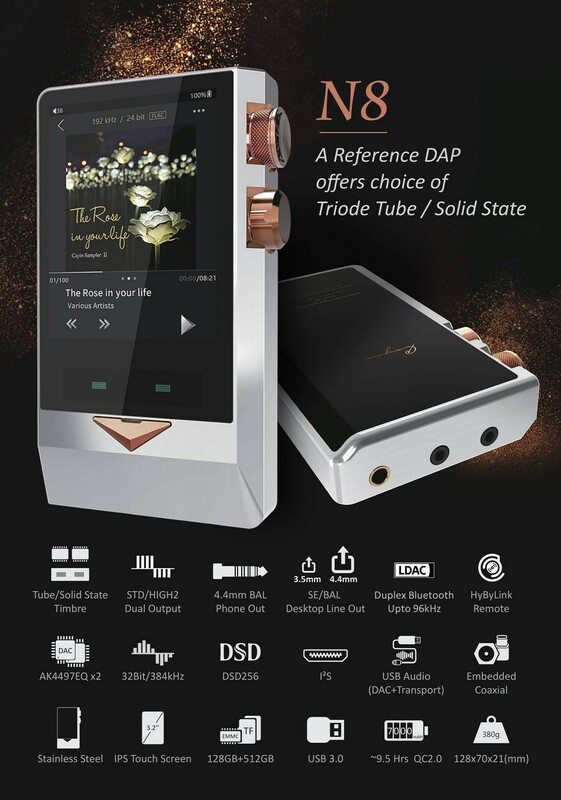 The showcase will include complete line of Personal Audio products (including the recently announced HA-300 flagship DHT tube headphone amplifier and the completed i-Series three-piece desktop suit), and selected CD player, DAC and tube amplifier from Cayin latest lineup. Please visit us at Hall 2 of MOC or contact us to reserve a special press audition session. Cayin was founded in 1993. While our products carry a distinctive cultural connotation and span over a very wide price range, we are devoted to developing the best sounding audio equipment at competitive prices. 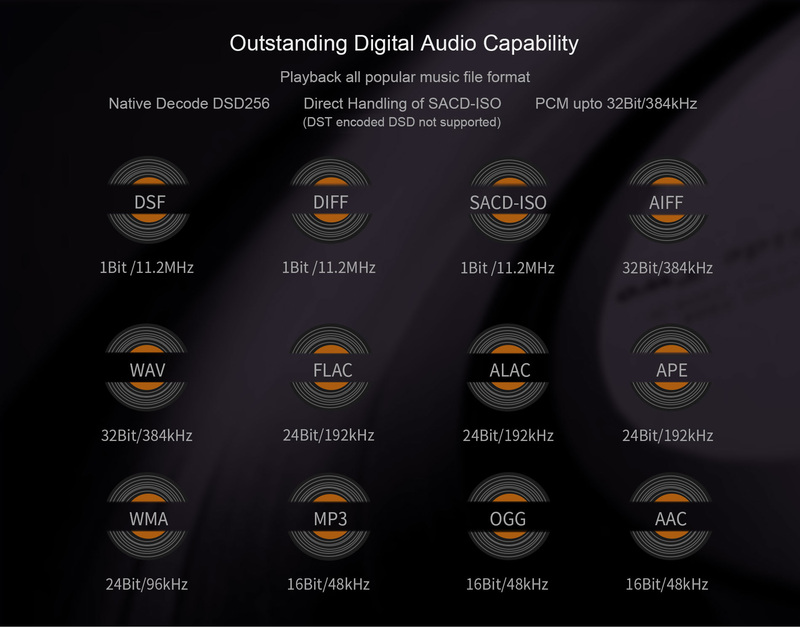 We have developed over 400 products to date, ranging from CD players to speakers, all of which provide the same high-quality benchmark and attractive price to performance capabilities. Our tube amplifiers have been particularly well-received within the audio community because of this commitment. With a spectacular track record of over 70 local and international awards, Cayin has grown into one of the largest audio tube amplifier development and manufacturing facilities in the world. Cayin pays attention to detail because we believe this is what it takes to reproduce music naturally. We might have a different agenda or employ different technologies for different products, but ultimately, we serve only one purpose: to move our audience with hi-fidelity. We deliver music diligently, and we are prepared to go a long way for that. With Cayin, your music will never be the same again. Twister6: Cayin N8 DAP: Dr Jekyll, Mr Hyde. 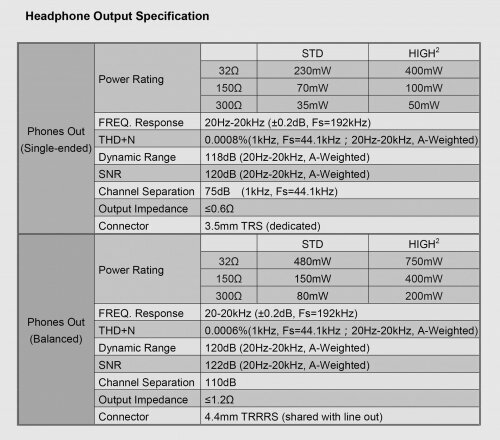 Why Tube output is available in Singled-end Headphone only? 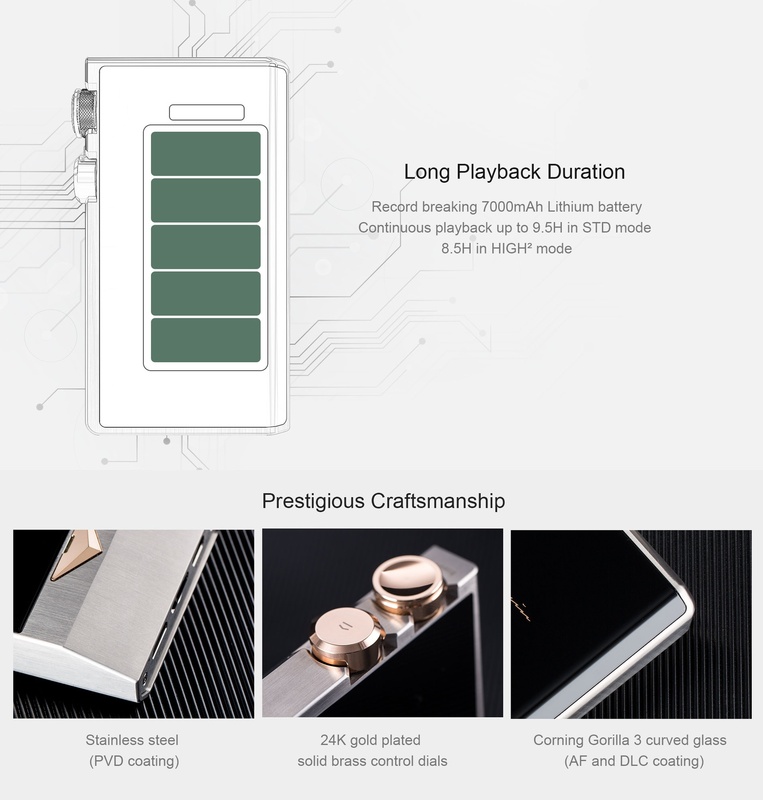 Is the battery user friendly to replacement ? Is N8 Desktop equivalent? Can we use N8 as a desktop audio product for long term? 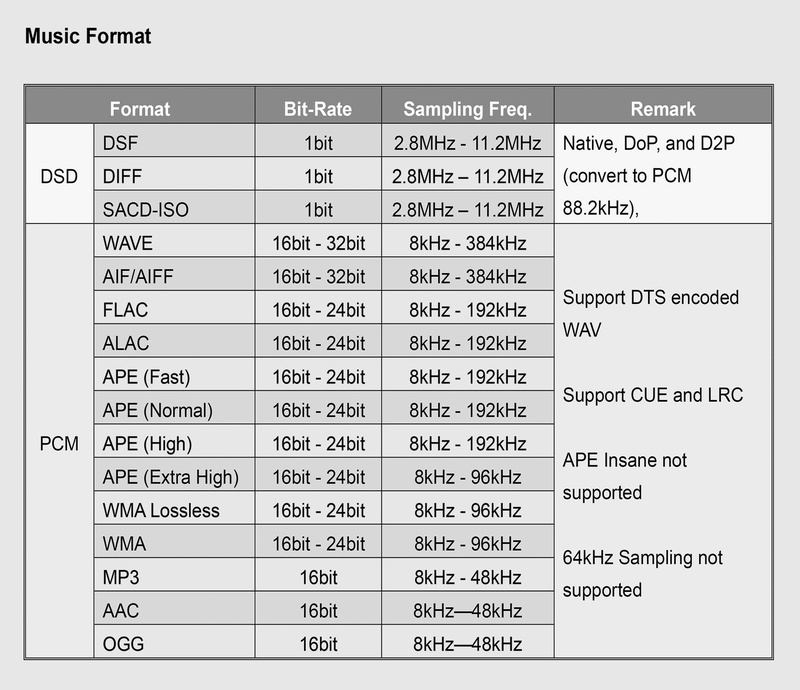 Can N8 do oversampling or DSD upsampling in the fly? What is HiByLink? How do I remote control my N8 with my mobile phone? What is the different between Idle Shutdown and Scheduled Shutdown? The N8 become fairly hot during playback, is it safe? Does N8 comes with International warranty? Can I buy N8 from other location and get it repair locally? Can I connect a Harddisk to the OTG of N8 as external storage? 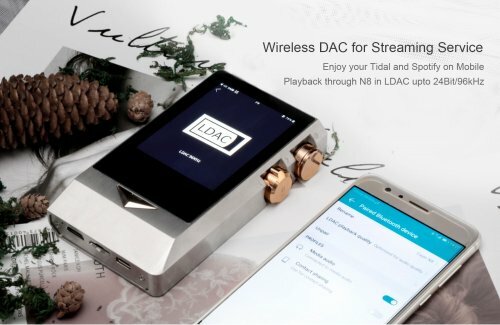 Any disclosable information about the N8 like what DACs does it use, what processor does it use, etc. Andykong and majo123 like this. Very interesting and I look forward to seeing the N8 revealed! Also very nice to read about how your personal relationship with Cayin started. Great to see the human side of this industry as well, as I think that it is often forgotten that behind every product there are passionate people who put their heart and soul into it (something I can relate to). I have shared the story back in August 2015, around 1 month after I joined Cayin. It was an important move to me and my family (as I become a frequently traveler soon after that), but I am glad that I make the right move. i know someone will read post #3 frequently, and that's me. This FAQ and resources are there so that I can refer to them again when someone asked similar questions again, and again, and again. OK-Guy and MyPants like this. Can't wait to read more about the N8! Well, I've truly lost count of the number of times I've had to remind someone to read post #3 in the Mojo thread, even though it says so in the thread title! Anyway, good luck to Cayin, on the new release(s). I can't deny I'm disappointed at the enormous price of the N8 (iRiver have destroyed the consumer marketplace, by forcing DAP prices higher, in my opinion, and now there's a rush by manufacturers to grab a piece of the high-pricetag-DAP action). However, I'm sure Cayin will produce a nice-sounding player. For goodness sake, make sure the firmware is reliable before you release it, though! monsieurfromag3, Quadfather, alphanumerix1 and 2 others like this. I've been so impressed by what Cayin does in the mid-tier realm, I've often fantasized about what great heights a summit-fi offering might reach. Pinky is losing his $h*t! Quadfather, ctsooner22, fuhransahis and 1 other person like this. I really want to know more about this! Cayin is supah rocking their DAPs! Thanks for linking to that, I enjoyed reading it (it was long before I joined Head-fi). I love seeing these type of stories, both here on Head-fi as well as elsewhere. And of course great to see that you have come full circle with the N6ii release in the future as well. Looking forward to seeing it all! Where has a price been disclosed?